We create amazing applications, like precisely plating the original Terminator endoskull to make it shiny and scary. Need a plated look that’s truly transforming? Action heroes like Optimus come see us first. When the hottest DJ duo in the universe needs their helmets plated, guess who they call? We’re old-school…we crafted the original Mattel Baby Doll Head. Our plating processes make the stars shine. 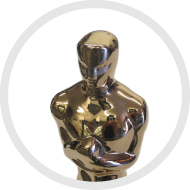 And our friend Oscar too. 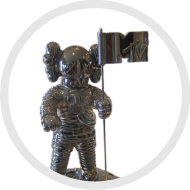 We’ve plated MTV’s Moon Man, the planet’s coolest trophy.